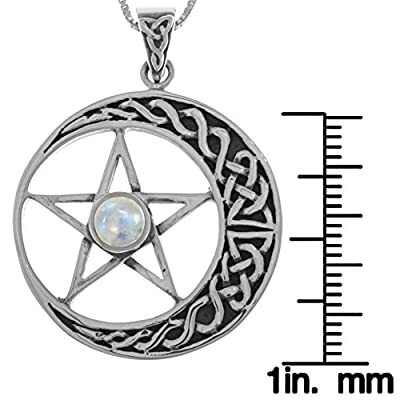 Spoil yourself with this Sterling Silver Celtic Moon and Star Pentacle Pendant with Moonstone... and yes...it's real moonstone! 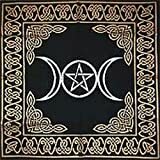 With its gorgeous design and well made features it also makes an excellent and thoughtful gift for someone special whether they are Wiccan or not! 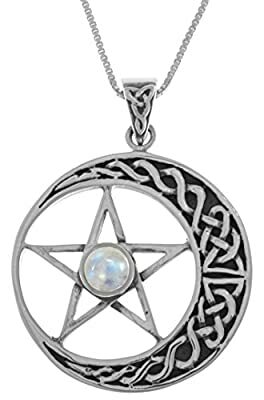 This Sterling Silver Celtic Moon and Star Pentacle Pendant with Moonstone has been tirelessly crafted of .925 Sterling Silver! 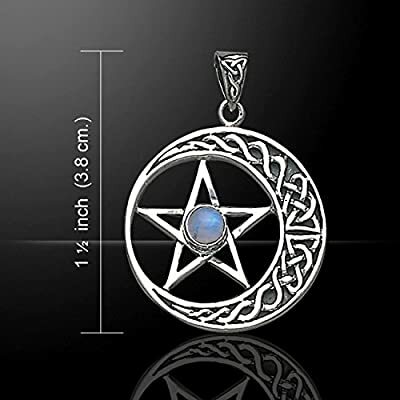 This necklace showcases a Celtic knot moon and star pentacle design guaranteed to inspire adoring looks and compliments. A gorgeous Rainbow Moonstone is the stunning central piece which adorns the center of the star. 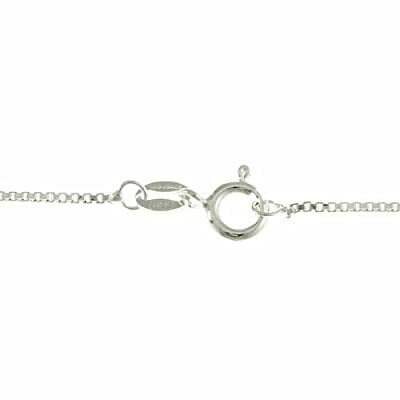 The highly polished pendant is strung on an 18 inch sterling silver box chain that secures with a spring ring clasp. 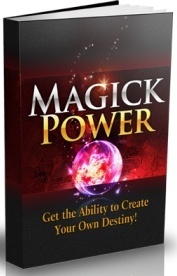 Complimentary gift box included with purchase. Peter Stone Jewelry Designs are exclusive and protected by Copyright Laws.